As expected and following much criticism from activists, the US EPA has withdrawn its controversial Emission Comparable Fuels (ECF) rule. The rule, which became effective in January this year, was intended to encourage recycling or conversion to energy of wastes otherwise considered hazardous, as long as any emissions from the process were less than or equal to those of fuel oil. It also meant to remove regulatory costs by reclassifying certain manufacturing byproducts as non-wastes. The rule has been criticized for allowing hazardous waste to evade the hazardous waste regulatory system, and for being difficult to administer. Industry too had been critical of the burdensome reporting requirements and overly detailed prescriptive conditions for reclassification required by the rule. See also: "EPA Proposes to Withdraw the Emission Comparable Fuels Rule," (www.wasteinfo.com/news/wbj20091208F.htm), 12/2/2009. 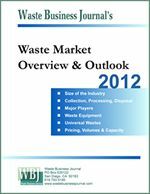 "EPA to Revisit Waste Definition and Comparable Fuels Rule," (www.wasteinfo.com/news/wbj20090505E.htm), 5/5/2009. "EPA Seeks Delay of Lawsuit over "Comparable Fuels" Rule," (www.wasteinfo.com/news/wbj20090428D.htm), 4/22/2009. "EPA Expands ECF Rule to Allow More Wastes into Boilers," (www.wasteinfo.com/news/wbj20081216E.htm), 12/12/2008. 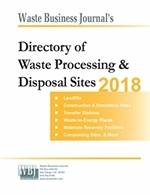 "EPA Expected to Finalize Waste-to-Fuel Rules exempting them from RCRA," (www.wasteinfo.com/news/wbj20081119C.htm), 11/17/2008. "EPA Proposes to Expand Comparable Fuels Exclusion," (www.wasteinfo.com/news/wbj20070605C.htm), 5/31/2007. The U.S. Environmental Protection Agency (EPA) has withdrawn the Emission Comparable Fuels (ECF) Rule, a rule that was finalized in December 2008. The rule sought to remove regulatory costs by reclassifying fuels that would otherwise be regulated as hazardous waste, but generate emissions similar to fuel oil when burned. The ECF rule was criticized for potentially allowing hazardous waste to evade the hazardous waste regulatory system, and for being difficult to administer. Industry members have also criticized it because of the detailed conditions for reclassification, which they believe will limit the rule's use.